You can also use final keyword with classes to make sure they are not extensible. In Java, you can not extend a final class to create sub-classes. Why you make a class final? doesn't it take your right of code reuse via Inheritance and extending its functionality? This is usually done to protect the class' invariant e.g. due security reasons. This is why String is also made final in Java. If you are a beginner, just started learning Java, I suggest you refer at-least one book alongside your research and practice. That will make you progress more in less time. One of the good Java books for the beginner is Cay. S. Horstmann's Core Java Volume 1 and 2, which is both readable, easy to understand and comprehensive enough to learn Java in deep. What is the final modifier in Java? Final keyword is also known as a final modifier in Java. You can use a final modifier with class, method, and variables in Java. Once created and initialized, you cannot reassign a final variable. This may look easy but it's a subtle concept to understand. For example, it's clear when you create a final int variable and initialize it to 5, now you cannot change its value, but if you crate a final reference variable and store reference of an ArrayList on it, what will happen? Can you change ArrayList or not? Can you add/remove elements on that ArrayList? If yes, then what is protected by final modifier? Well, you make reference variable final, which means that reference variable cannot point to any other object, but you can still change collection by adding or removing elements. If you want to prevent that, consider creating an immutable ArrayList in Java. You can create a read-only List in Java by using java.util.Collections class. 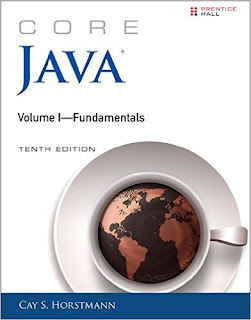 You can also refer Cay S. Horstmann's classic Core Java Volume 1 - Fundamentals to learn more about different usage of final keyword in Java. A blank final variable is a kind of final variable which is not initialized in the line they are created, instead, they are initialized in the constructor. Tricky thing to remember is that, if you have multiple constructors in a class then you must make sure to initialize a blank final variable in every constructor otherwise compiler will give an error. This is different with static final variables, which are also known as a compile time constant and must be initialized in the same line they are declared. 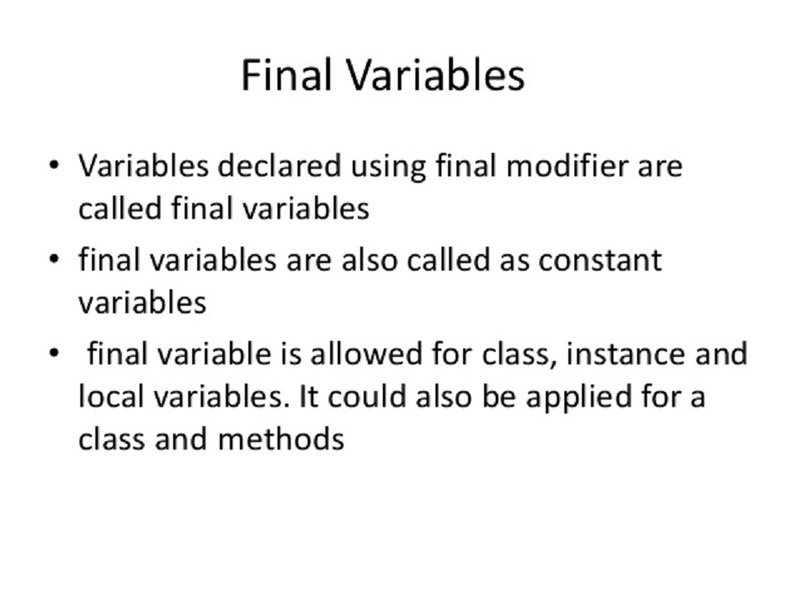 There are three kinds of final variable in Java, static final variable, which is also known as compile time constant, non-static final variable, which can be initialized during declaration or can be a blank final variable and third one, local final variable which is declared inside a method or a block. Until Java 8, you cannot use a local variable in Anonymous class until its final, but from Java 8 onward you can even if its effectively final i.e. its only initialized once or its not modified after initialization. * final variable in Java. because our code is trying to assign new values of final variables which are not allowed. When you compile this two classes you will get compile time error "Cannot override final method from Father" because Son is trying to override getSurname() method which is declared final in Father class, as shown in following Eclipse screenshot. If you are still wondering what is the real use of final method? or when to make a method final in Java? I suggest you to read my article when to make a method final in Java. There I have explained things in more details and couple of examples. That's all about how to use final keyword in Java. As you have learned, you can use the final keyword with variables, methods and classes in Java. You can use final keyword to make a variable constant so that no one can change its value once created. When you decide to make it a constant consider making it static final variable. You can also use the final keyword with a method to prevent overriding. A final method is assumed to be complete and states that its not designed for inheritance or extension, as opposed to an abstract method which is actually designed for inheritance. You can also use final keyword with classes to prevent sub-classing. You cannot extend a final class, this is usually done due to security reason e.g. String is final in Java to protect its invariant from erroneous sub-classing. Nice guide of final modier in Java. Thanks, but I have one question? is there any change in behavior of final variable across Java version or they are exactly same from Java 1 to Java 8? @Anonymous, behavior of final modifier is not changed since first Java release. Though a new concept called effectively final is introduced in Java 8, in relation to using local final variable inside anonymous class or lambda expression. 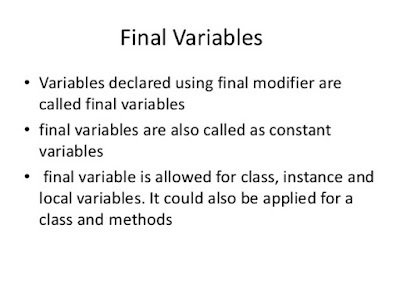 See this tutorial to learn more about effectively final in Java 8.